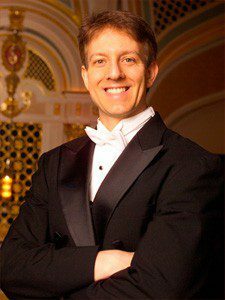 Since becoming the Mobile Symphony’s Music Director in 2000, Scott Speck has led the orchestra through more than a decade of remarkable growth to become the premiere orchestra on the Gulf Coast. Speck’s talent, enthusiasm and love of music not only have elevated the orchestra to new levels artistically, but also have created a new excitement for classical music in the entire community. Beyond his work with the Mobile Symphony, Speck is in demand with orchestras around the world. His recent performances in London, Paris, Moscow, Beijing, Chicago, San Francisco and Washington have inspired international acclaim as a conductor of passion, intelligence and winning personality. Speck’s recent concerts with the Moscow RTV Symphony Orchestra in Tchaikovsky Hall garnered unanimous praise. His gala performances with Yo-Yo Ma, Itzhak Perlman, Joshua Bell, Midori, Evelyn Glennie and Olga Kern have been highlights of his years as Music Director of the Mobile Symphony. But Speck’s quest for musical excellence makes each concert a memorable musical experience for the audience and orchestra. His easy way of communicating his love and knowledge of the repertoire continues to win fans and enrich the concert experience. Speck also sees his mission – and the mission of everyone involved with the MSO, audience included – as spreading the word about the orchestra. “I feel that what we’re producing here is something on an incredibly high level. People who come from other parts of the world are always astounded at what we are able to create here. It really, really bothers me to think that there is one person out there that might enjoy what we have to offer but didn’t know about it,” he says. 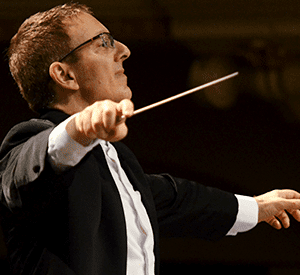 Speck also serves as Music Director of the West Michigan Symphony and Principal Conductor of the Joffrey Ballet. He was also invited to the White House as Music Director of the Washington Ballet.